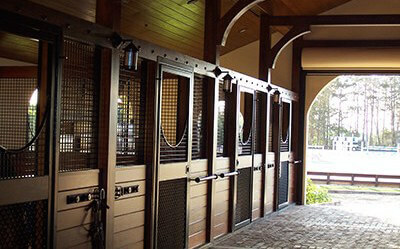 For more than 35 years, Lucas Equine Equipment has maintained a reputation for designing and manufacturing the highest quality custom made horse stall components and barn doors in the world. We continue to succeed in this market because of our unique combination of service, experience, custom designs and exceptional quality. What's New At Lucas Equine? You're invited to come visit us! 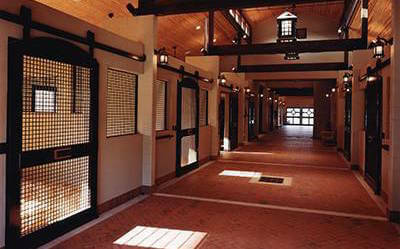 Our 70,000 square foot office and manufacturing facility is located just 20 minutes from the Kentucky Horse Park. 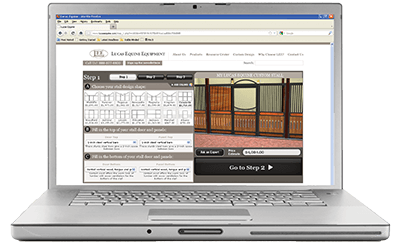 We think it's important for you to really understand what you're buying: get your hands on the stalls, slide the doors back and forth, operate the yokes a few hundred times, and look closely at the details and craftsmanship. Call us to schedule your visit: 888-577-6920. From 1981 with 3 employees and one truck delivering horse equipment to local farms trying to build a brand that is known today as being the best horse containment company in the world. With a modest start and men who were dedicated to serving local thoroughbred farms to a company that has business relationships in over 40 countries. Thanks for all your business.